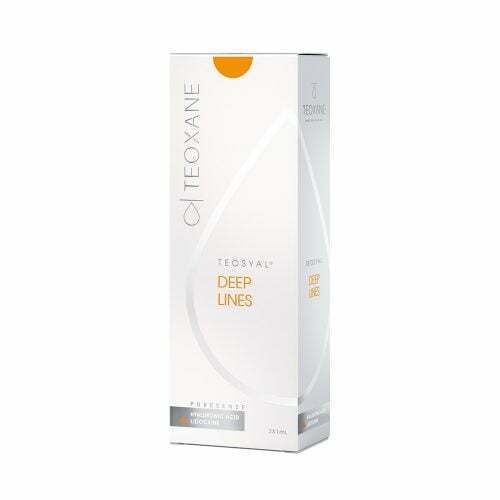 Teosyal Puresense Kiss is Teoxane’s hyaluronic acid formulation aimed specifically at use on and around the lips. Teosyal Puresense Kiss is a hyaluronic acid formulation aimed specifically at use on and around the lips. It is supplied in two pre-filled 1.0 ml syringes – enough for procedures that aim to smooth out minor wrinkles, but also for more extensive lip enhancement where a noticeably fuller effect is desired. As with the entire Teosyal range, this still incorporates natural flexibility that closely mimics the face’s own hyaluronic acid, so the full range of movement in the lips and mouth is preserved. This means minimal discomfort and swelling both during and after the procedure, and a lasting visual effect that does not look artificial. Due to this flexibility, Teosyal Puresense Kiss is also able to offer long-lasting results even in the most mobile regions of the face, on and around the lips, despite continued exposure to eating, talking and smiling.